In college, you have to come up with this big long philosophy of education, yet you've never been a teacher. When you apply for a job, inevitably you have to discuss your philosophy of education and your "educational motto" if you will. It's a mission statement of sorts. A lengthy paragraph that explains where your head's at when it comes to education. Words, words, paragraphs, paragraphs. Do we need so many words? No. In this time of year, when the winter doldrums have long been established and kids are getting squirrely and weather begins to turn nice, it is only human nature to lose that spark a bit. It's only natural that this time of year causes a slip in our passion. It is because of this, that we need the ONE WORD. Think of a word. A word that epitomizes what type of teacher you want to be and what type of class you want to lead. Not a paragraph, not a sentence, not a phrase. ONE WORD. With that one word, you will refocus each day. With that one word, you will look at it and be reminded of why you are there and the mission in front of you. You don't need a bunch of words. You only need one--that one powerful word that when you look at it, it will remind you of everything that needs to be done. I encourage you to think deeply. I encourage you to think of a word that clearly states what you want to do. 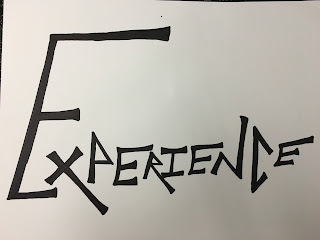 I chose the word "Experience." I posted it above my desk and each morning, when I entered my classroom and walked up the stairs to my computer, I saw it and was reminded of what I need to do. I was reminded that I was here to create as many experiences for my students as possible. 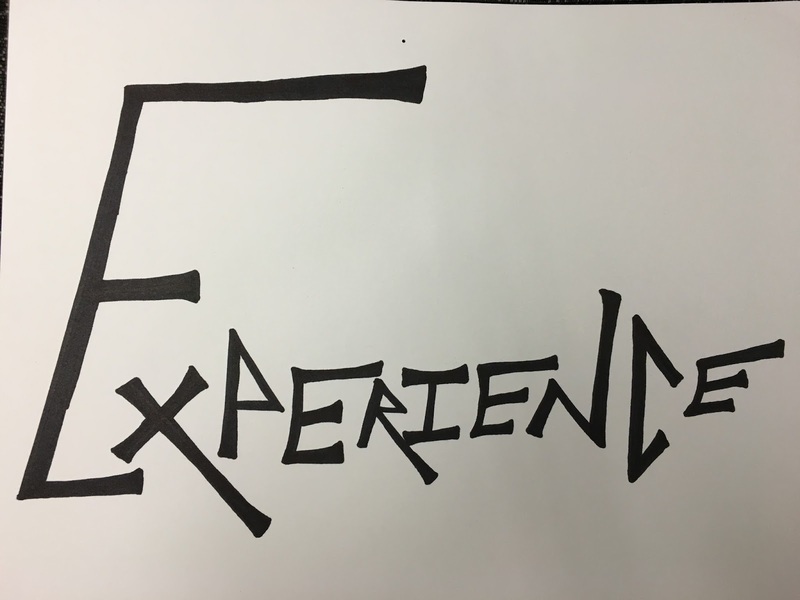 Lesson plans, activities, review games, tests, conversations in the hall way---no matter what the task, I wanted it to be an experience for my students. That's when relationships are built and when authentic learning occurs. Some days I probably failed. Some days I probably missed opportunities. But I kept coming back to that word. Kept it in my mind and I believe it did make a difference. What's your word? "Inspire"? "Creativity"? "Innovate"? "Rapport"? "Passion"? "Enthusiasm"? "Student"? Pick one. Make the sign.